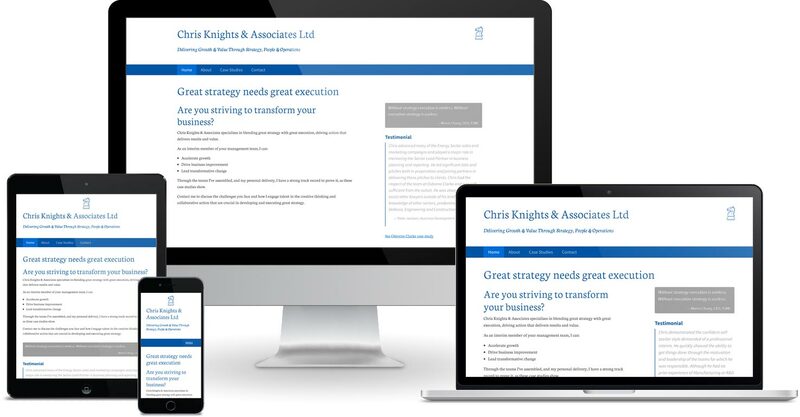 Chris Knights works as an interim manager with his clients developing strategy, converting this into actionable plans and implementing them directly or through client teams. He needed a professional brand and website to highlight his skills and experience and to showcase past projects that he has worked on. We worked with Chris to create a new branding for him and built a website around the new branding. The site features a clean, professional, responsive design to keep the content easily readable for all visitors, regardless of the device they are using to view the site. We wanted to be able to highlight different aspects of each case study on the site and to link together related case studies and also to link testimonials with their respective case studies. We decided to use Craft as the CMS for this project as it has a very flexible data model, features relational linking of entries, and includes tagging which enabled us to group related case studies together. Craft also has a very user-friendly control panel for editing content, which, when combined with the power of the matrix field type and live previewing of content as you edit it means that it is very easy for non-technical users to edit and create content on their sites.